The focus of the Ste. Genevieve County Emergency Management Agency is protecting lives and property. Through planning, training, and education the EMA works continuously to ensure the safety and well-being of those who live and work in Ste. Genevieve County. How do I get an E911 address for my property? Visit our Emergency Management office at 295 Brooks Dr in Ste. 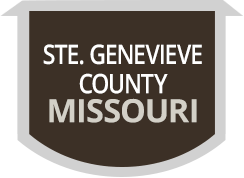 Genevieve on Thursdays from 9 a.m. to 4 p.m. or call our office at 573-883-3866.